Whenever we talk about the partition of India, we almost always end-up discussing the man who broke up India. And, the discussion almost always leads to the conclusion that, it was Jinnah, if Indians are discussing, and it was Gandhi, Nehru or Patel, it’s happening in Pakistan. The inherently biased results are the products of Indian nationalism, and/or Pakistani nationalism. 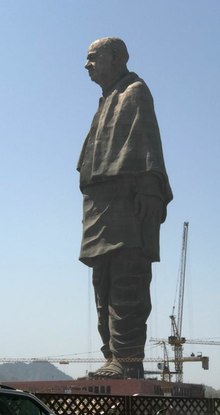 The recent inauguration of the Statue of Unity has once again resurrected the debate on Indian nationalism and Patel’s nationalism. Two sides are fighting an information war on the concept of nationalism. One point of view suggests that Patel’s nationalism has created “geography of unity with the spirit of nationalism”, and the other washes it off as an act of propaganda to polarise for the next general election. Nationalism is a political, social, and economic system characterized by the promotion of the interests of a particular nation, especially with the aim of gaining and maintaining sovereignty (self-governance) over the homeland (Triandafyllidou A, “National Identity and the 'Other”, 1998, Ethical and Racial Studies, page 595). Nationalism is a modern-day habit of assuming that the people of the particular area or locality can be classified as an ‘insect’ or an ‘animal’ of a particular nature and can be easily labelled as ‘good citizen’ or ‘bad citizen’. But the impunity of the concept lies in “placing it beyond good and evil and recognising no other duty than that of advancing its interests”. Nationalism sinks the individuality of the individual and creates an obligation on the individual to secure more power and prestige for the nation beyond good and evil. From the philosophical point of view, it is purely negative but the political society provides it much needed support to survive. The existence of it among intellectuals helps exacerbate it among the general public. The concept more-or-less provides grounds for the general conspiracy of silence among the populace. Pakistan was born to be a modern democratic state, so was India, where religion would not be the business of the state. Jinnah appointed a Hindu as the law minister of the first cabinet, precisely to drive home hope that the newly-formed Muslim homeland was not exclusively for Muslims but that minorities of whatever belief would also be a part their new nation. Once hailed as the best ambassador of Hindu-Muslim unity by Gopal Krishna Gokhale, a staunch Indian nationalist would one day take a flip and end up destroying the very unity he had so cherished in his early career. Indian politics was to show a different colour after the fateful 1920 annual session of the Congress in Nagpur. Mahatma Gandhi moved a resolution setting “the attainment of Swaraj” by “all legitimate and peaceful means” as the goal. The dissent from Jinnah was not allowed to voice it his concern. Some delegates shouted him down, calling him a “political imposter,” nothing less, and insisting that he refer to Gandhi as ‘Mahatma’! According to KM Munshi, “Jinnah, however, warned Gandhi not to encourage fanaticism of Muslim religious leaders and their followers” (Munshi, KM “Pilgrimage to freedom”, 1967, page 22). Gandhi himself informed to the Governor of Bengal, Richard Casey, that “he (Gandhi) had ruined politics in India by dragging up a lot of unwholesome elements in Indian life and giving them political prominence, that it was a crime to mix up politics and religion the way he had”. Jinnah resigned from the Congress but continued to negotiate for a united, pluralist India. Speaking in the Central Legislative Assembly in 1925, he declared, “I am a nationalist first, a nationalist second, and a nationalist last.” After political exile, Jinnah came back in mid-1930s as a nationalist, but a worried one. In election of the Provincial Legislatures in 1937, the Congress obtained a clear majority in Madras, United Province, Bihar, Central Province and Orissa. In Bombay, the Congress had won nearly half the seats. But, it won Muslim reserved seats, out of 9 contested out of total 66 Muslim reserved seats; and in Bombay, it had contested 2 out of 30, losing both. The question arose, whether the Congress should form coalition governments in provincial assemblies or not? The decision against coalition proved to be disastrous and short-sighted. During the election, two parties co-operated in the campaign, especially in the United Province. Both the parties developed a tacit understanding that a coalition government would be formed. The Congress won with a clear majority and the league offer of the coalition government was treated with disdain. After the 1937 elections, Jinnah said “nobody will welcome an honourable settlement between the Hindus and the Muslims more than I and nobody will be more ready to help it” (Mansergh, N, “Transfer of Power”, 1976, Vol. VI, page 616-17. Extract from Casey’s diary dated December 6, 1945). And, he appealed to Gandhi to tackle this question. The response was a bit depressing. Gandhi said “I wish I could do something, but I am utterly helpless. My Faith in unity is bright as ever: only I see no daylight but impenetrable darkness and in such distress, I cry out to God for light” (Rao Shiva, “Framing of India’s Constitution”, 1968, page 22). Nehru wrote a letter to Jinnah on April 6, 1938, in which he said that “…the Muslim League is an important communal organisation and we deal with as such. ...And, the other organisations, even though they might be younger and smaller, cannot be ignored”. To which Jinnah replied: “Your tone and language again display the same arrogance and militant spirit, as if the Congress is the sovereign power…I may add that, in my opinion, as I have publically stated so often, that unless the Congress recognizes the Muslim League on a footing of complete equality and is prepared as such to negotiate for a Hindu-Muslim settlement, we shall have to wait and depend upon our ‘inherent strength’ which will ‘determine the measure of impotence or distinction; it possesses...” (Bolitho Hector, “Jinnah”, 1954, page 117). Even as late as September 28, 1939, he said at the annual dinner of the Old Boys of Osmania University, “I have always believed in a Hindu-Muslim pact, but not a pact that will mean a destruction of the one and a survival of the other.” But that was the end of it in the public arena. Jinnah had very deliberately raised the demand for Pakistan with the confidence that Congress would never accept it and would instead deal with him as the “sole spokesman” of the Muslims of India to work out the details of a post-Independence India. Thus, Pakistan was a Plan B of nationalism. But for the plan B to be effective for a negotiation, Jinnah had to show that the Muslims of India were asking for Pakistan in earnest. In the end, the Jinnah insistence led to the partition of India. However, he was not the only one. “I was surprised that Patel was now an even greater supporter of the two-nation theory that Jinnah. Jinnah may have raised the flag of partition but now the real flag bearer was Patel”, said Maulana Azad (Azad M ‘India Wins Freedom’, 1988, page 201). According to many right-wing historians, Gandhi showed shrewd judgment when he anointed Nehru rather than Patel as his successor. Patel was the party boss with a firm grip on the party machine, which was ensured by his skills as a fund collector. However, Patel was coarse to a degree and was ignorant of world affairs, despite his admirable qualities. In November 1945, Patel inaugurated a swimming pool on Marine Drive in Mumbai, just next to the Chowpati Beach, the Pransukhlal Mafatlal Hindu Swimming Pool. It was and still is exclusively for the use of Hindus. Its door remains shut, even today, for Muslims and other communities. On November 18, 1945, Jinnah issued a statement in a response to a rejoinder to Patel’s speech at the All-India Congress Committee (AICC) session. 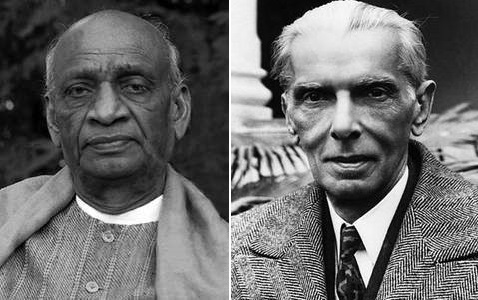 Jinnah said, “As to his other slogans that Hindus and Muslims are brothers and one nation, the less Sardar Patel talks about it [the] better. It does not come with any grace from his mouth, at any rate. For did not Mr Vallabhbhai Patel perform the opening ceremony of swimming bath in Bombay meant exclusively for Hindus? Has he forgotten that some young men demonstrated protesting against his participation in the opening ceremony of the swimming bath which excluded the Muslim brethren even sharing the sea-water” (Waheed Ahmad, “The Nation’s Voice”, 1947 Vol IV). Nehru wrote, “Many a Congressman was a communalist under his national cloak” (Nehru J, “Autobiography” (1936) page 136) -- this is also written for Patel, as claimed by many historians. Azad was excluded from the first Cabinet of free India. “Sardar is decidedly against his membership in the Cabinet... It should not be difficult to name another Muslim for the Cabinet” (Gandhi, M “The Collected Works of Mahatma Gandhi”, 1960, Vol IX page 408). Azad convened the Indian Union Muslim Conference in Lucknow on December 27, 1947, at which he pleaded for the dissolution of the Muslim League and urged Muslims to join the Congress. A resolution on these lines was unanimously adopted the next day (Noorani AG, “The Muslim of India: A Documentary Record”, 2003, page 65). To which, on January 6, 1948, Patel questioned Azad’s patriotism and also invited the Hindu Mahasabha and the RSS to join the Congress, simultaneously in one and the same speech. Patel was always a Hindu nationalist. He was a Gandhi-made nationalist. So, he survived in India as a great leader and a maker of a modern and majority Hindu India. However, Jinnah is considered as the man who broke up India. Even though from the very beginning Jinnah was an Indian nationalist. However, both the nationalisms had one side effect – Partition of India. Whether it’s position nationalism or negative nationalism, it only produces division among the people.